Treatment: Doctors find medical value in the drugs to restore muscle patients lose to diseases. A few years after his HIV diagnosis, Nelson Vergel [nelsonvergel.com] began wasting away. No matter how much he ate, no matter how many protein shakes he added to his diet, no matter how much iron he pumped, the chemical engineer could not regain 25 pounds the virus had stripped from his 5-foot-7 frame. He watched as dozens of HIV-infected friends progressively lost body fat and muscle -- and, ultimately, their lives. "Either I have to do something," Vergel thought, "or I'll be the next one." Then he found steroids. For more than a decade, Vergel has been among the chronically ill patients who take anabolic steroids -- legally -- for the same fundamental reason some athletes use them on the sly: to build up their bodies. A storm of attention has been paid of late to illicit use of steroids among athletes, who forever want to run faster and hit balls farther. But at the same time, a quiet movement is under way to discover what legitimate role the drugs can play in mainstream medicine. For years, doctors have prescribed anabolic steroids for those with HIV or AIDS, kidney disease, cancer and other illnesses that cause malnutrition or muscle wasting that can leave patients dangerously thin. And, although the long-term side effects of anabolics aren't fully known -- even at low doses -- some physicians see definite therapeutic benefits. 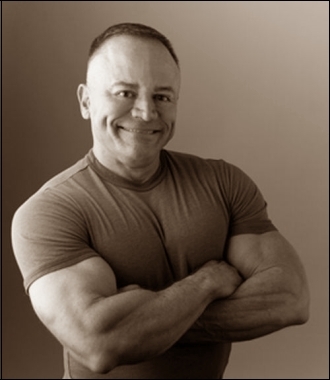 "Not only do they help rebuild muscle, they make you feel better," said Dr. Bruce Rashbaum, a Washington internist who has prescribed anabolic steroids to HIV and AIDS patients for 15 years. "It's not as if these patients are going to become Hercules, because they aren't going to be." Not all doctors think the benefits of prescribing steroids for chronic conditions outweigh the potential risks, however. What's more, they say, simply adding muscle to a frail body isn't necessarily going to help someone who is dying from a disease anyway. But given the difficulty physicians have had in helping severely malnourished people gain lean muscle tissue -- as opposed to fat -- scientists are continuing to study whether steroids might be among the answers. Said Rashbaum: "Everyone has this notion that these drugs are taboo, and they don't even entertain the idea of learning about it. I really think in the short and long run the benefit certainly outweighs the risk for those patients that really need them." In 1999, Dr. Kirsten L. Johansen, director of dialysis at the San Francisco VA Medical Center, led a study of 29 patients with kidney failure. Over six months, they were either injected with an anabolic steroid or given a dummy pill. Those in the drug group gained an average of nearly six pounds more in lean body mass -- and reported less fatigue -- than those taking the placebo. Johansen has been following up on that research to determine whether the patients' boost in weight was attributable to muscle and whether it translated into better physical function and quality of life. "We know that people who lose muscle mass tend to die sooner," she said. "But what we really don't know is: If we build muscle mass, are we helping them? These patients are really debilitated. For some of them, that's just such an issue that they really might benefit from this." Anabolic steroids date to the 1930s, when scientists created a synthetic form of the male hormone testosterone. They were targeting hypogonadism, a condition in which the testes don't produce enough testosterone for normal growth and sexual function. Soon, researchers discovered that the drug aided the growth of skeletal muscle, too. But not without a price: Anabolic steroids have been linked to side effects ranging from acne and aggression to cardiovascular disease and liver cancer. This type of steroid -- which differs chemically from the corticosteroids commonly used to treat inflammation -- is available legally in the United States only by prescription. And athletes typically take doses considerably higher than those prescribed for medical purposes. Dr. Marc K. Hellerstein, professor of medicine at the University of California, San Francisco, said modest doses of anabolics, combined with weight training -- if patients are well enough to exercise -- yield the best result. He has used that approach for patients with HIV and AIDS. In a 1999 study he led, 22 men lifted weights and received testosterone by injection. Half also took an oral anabolic steroid. Both groups increased their lean body mass, weight and strength. But those in the steroid group had significantly larger gains. "It was not just cosmetic; this was useful muscle," Hellerstein said. Even at low doses, anabolic steroids can have unpleasant or dangerous side effects, including liver damage and prostate cancer, and doctors who prescribe them have to monitor their patients closely. In Hellerstein's study, those side effects included a drop in HDL (the "good" cholesterol), as well as irritability and overly aggressive behavior. In general, some patients don't like steroids because the drugs can cause sleep problems or make them more likely to pick fights with their partners. But others thrive on them. Dr. Adrian S. Dobs, an endocrinologist at the Johns Hopkins School of Medicine, said she believes there's a limited role for anabolics in medicine, including with HIV and AIDS patients. But in other cases, she says, the long-term risks -- which are still unknown -- might be too great. "I just don't think there's good data to say it's really worth doing, with the exception of a few disease states," she said. "Increasing muscle mass per se is not a benefit. ... Are you doing any good? What's going on with the underlying disease?" Vergel, who has been taking anabolic steroids since 1994, credits them with helping him through a difficult period before the advent of effective antiviral treatments that helped reduce chronic wasting. During his first four months injecting anabolics, Vergel put on 35 pounds -- enough to push him up to 175, more than he weighed when he was healthy. The 46-year-old, who lives in Houston, kept up with the drug regimen and saw his white blood cell count climb. His energy and appetite improved. "I was looking great," he said. "For the first time, I was looking like I was not HIV-positive. I just felt like a superman. I just thought, 'Maybe I'll survive.'" He eventually left his job and wrote a book outlining a health plan for HIV-positive people based on steroids, exercise and nutrition. Anabolics, he says, are only a part of the equation. A doctor supervises his use of the drugs, regularly checking for changes in liver function and blood pressure and screening for prostate cancer. "When you're sick, the risk-to-benefit ratio changes in your mind," Vergel said. "I have no doubt that my quality of life -- and my life -- have been extended."